Securities matters are complicated. The cost is especially high if you fail to choose the correct forum, identify responsible and collectible parties and/or exceed the relevant statute of limitations. Private counsel and government attorneys often turn to Joseph H. Spiegel PLLC for assistance with their securities cases. From knowledge regarding how to draft a client’s securities retainer agreement to negotiating a settlement agreement, attorney Joseph H. Spiegel has the knowledge and skill set necessary to assist general practice lawyers throughout the state of Michigan. 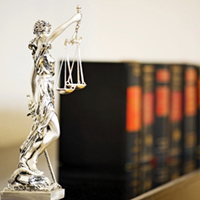 Mr. Spiegel is pleased to provide confidential consultations, co-counsel services and expert testimony whenever needed. His comprehensive experience with securities litigation and storied history as chair of the Midwest Securities Law Institute make him the ideal expert in any courtroom. Joseph H. Spiegel PLLC represents Ann Arbor residents in cases involving mediation, arbitration and business law. Call (734) 761-8475 for more information regarding Mr. Spiegel’s expert witness testimony and consulting services.